The Off Topic Topic hits ten thousand individual posts and has just over 90,000 individual views. 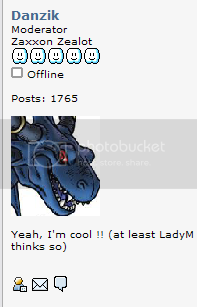 Forum member Daxx got the ten thousandth post. At least the person who got it was a member who would be able to bring dignaty to the occasion. Then there was the time the Main page got hacked. 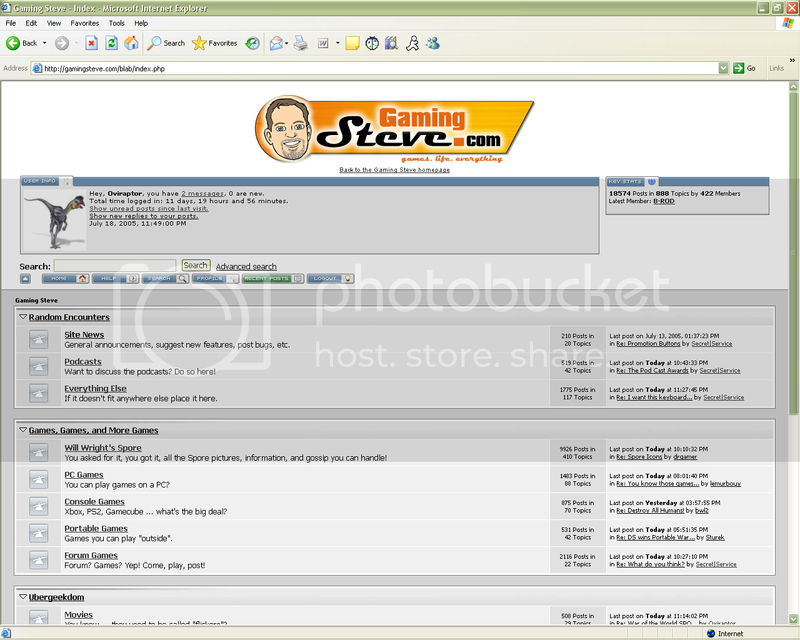 Well, I was looking through my old pictures, and I came across some old screen shots of the forum. 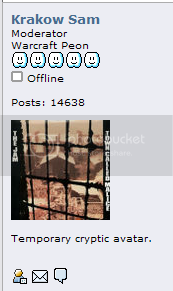 In this picture you can see Everything Else has a whopping 1775 posts. The oldies would probably recognize the most recent member. I'm sure there are lots of other things people can find, if we look. Enjoy. The ads attacked my browser for the first time, just in time for Christmas. We now have a youtube button for posting youtubes. The Babylon theme finally gets the GamingSteve logo. I am subsequently called crazy and jailed for declaring that the text was better. Actually a lot of people have been asking for me to put this back. I thought it would be nice to have (and necessary to properly brand the site). The logo is centered though. When the text was up it drove me nuts because being the OCD-crazed person that I am, a left aligned title simple could not stand. I rather liked the text myself. Generally anything that doesn't distract my eyes. But this logo isn't so bad. Not a huge bright piece of color like the logo in the screenshot that Oviraptor put up a couple posts up.